Hi, everyone. 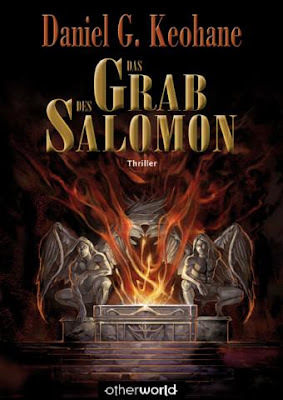 Quick note to say that the German edition of Solomon's Grave, Das Grab Des Salomon, has been officially released by Otherworld Verlag. Click on the link to see all the infomation. The sales ranking at Amazon Deutschland has already jumped. Should be exciting to see how the book does over there. Editor and publisher Michael Krug is very excited and, unlike the Italian edition released last year, this time there's a lot of support and enthusiasm behind the book's release. Looking forward to working with him to get the book an audience in Europe! On other matters, almost done with the revisions to the ending of DoW. Things have slowled a bit on the writing front, which is fairly typical in these last couple of weeks leading to Christmas.